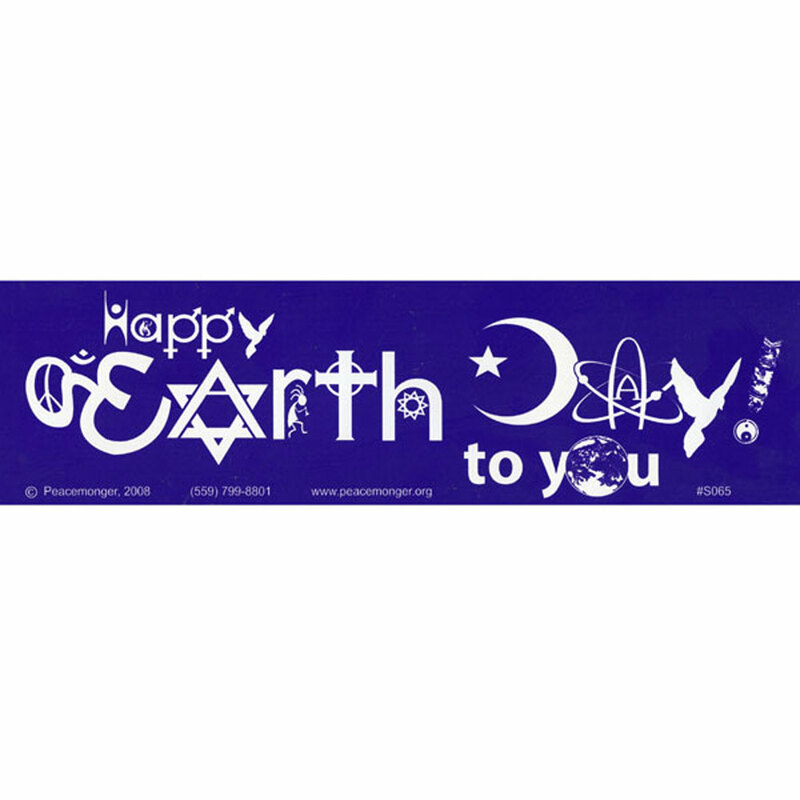 This celebratory blue and white Earth Day Bumper Sticker features the symbols of a variety of faiths. Many of our Original Stickers are also available as Bumper Magnets, Mini Stickers, Pin back Buttons and high quality Fridge Magnets. 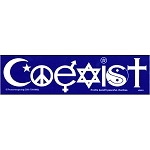 If you would like information on a specific product, please email Customerservice@peacemonger.org.